“We are with you in this fight until the end,” shares Managing Director of Hard Rock Hotel at Universal Orlando, Carlton Hudson. 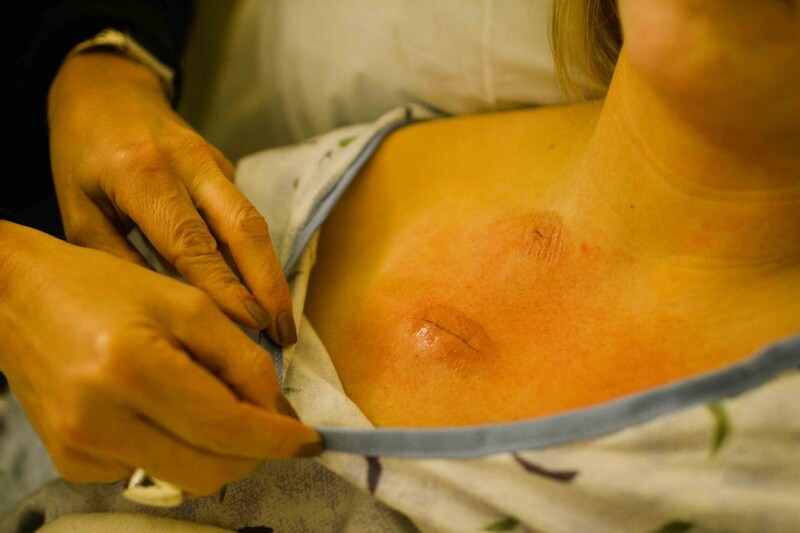 As a 21-year cancer survivor, Hudson means what he says from a very personal perspective. He, like the thousands of men and women across the world facing this disease, understands the importance of teamwork in the fight against cancer. October is Breast Cancer Awareness Month and Hard Rock Hotel Orlando continues to play an integral role in the breast cancer community. This year, the hotel is celebrating it’s 16th annual PINKTOBER campaign by uniting musicians, supporters, and survivors through several outlets. I had the honor of joining the team in the launch of this year’s campaign, and am extremely touched by the personal ways Hard Rock is reaching out to make an impact. While October has a tendency to become “pinkwashed,” Hard Rock Hotel Orlando works diligently to direct the proceeds from PINKTOBER to charities that have little to no overhead costs. The money that is being raised is directly benefiting women and men facing a breast cancer diagnosis. Hard Rock Hotel Orlando invites guests to show their support in a variety of ways. You can shop for the cause, get into bed for the cause, and even party with rockstars for the cause! 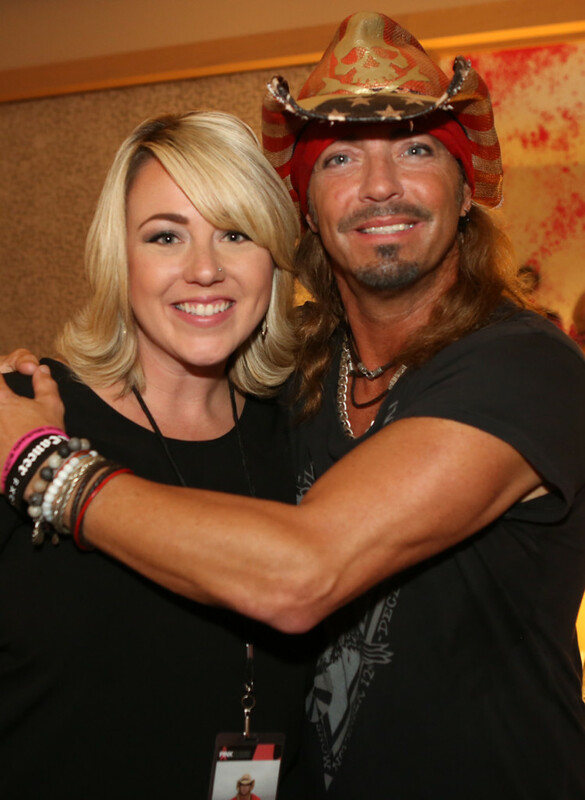 In fact, the hotel’s popular concert series, Velvet Sessions, welcomed Bret Michaels for the fourth consecutive year to launch the campaign by performing a benefit concert. Michaels is an ardent supporter of PINKTOBER and breast cancer research, and his enthusiasm for the cause is inspiring. This year, Hard Rock Hotel Orlando donated all proceeds from the concert and the evening’s silent auction (featuring hotel stays, all-inclusive resort vacations, dinners and more) to a local charity called Martha’s Angels. 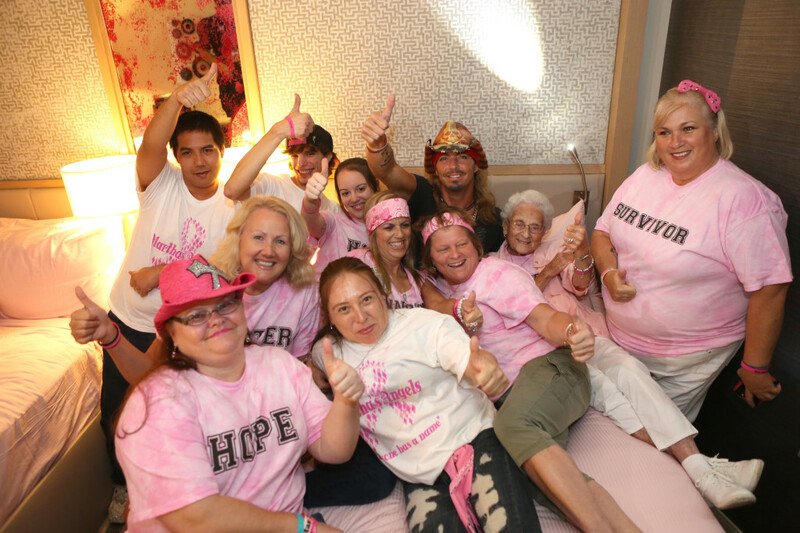 In addition to the donation of proceeds, women from Martha’s Angels had the unique opportunity to spend time with Bret Michaels before his performance. The energy in the room was contagious, and I couldn’t help but smile as I witnessed the conversations between Michaels and the breast cancer survivors. These women, currently fighting this disease, and those who are years beyond their battle were treated like the warriors they are. There was a paradigm shift, as Bret Michaels asked about their stories and congratulated them on their strength and perseverance. Bret became the fan, and the women became the celebrities. Michaels was attentive in giving each woman time, and was truly connected and engaged with each one. Pictures were taken, as laughter and tears were shared. It was a moment I won’t soon forget. Who knew that by simply booking a stay at Hard Rock Hotel Orlando you could help the fight against breast cancer? Through the PINKTOBER campaign, Hard Rock welcomes guests to get into bed for the cause. 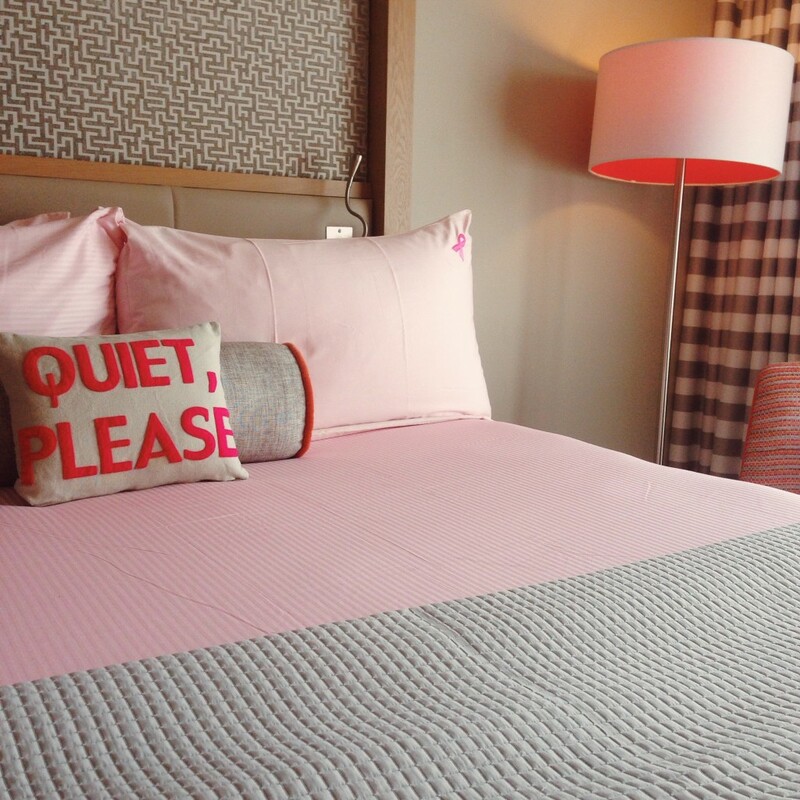 By booking your stay in a Pink Sheet Room, 25% of your stay goes to the Breast Cancer Research Foundation. The BCRF’s mission is to prevent and cure breast cancer by advancing the world’s most promising research. Hard Rock has chosen the Breast Cancer Research Foundation to receive profits from the campaign because of their commitment to helping patients directly. They have very little overhead cost and are passionate about awareness, advocacy, and researching for a cure. Each Pink Sheet room is manicured top to bottom with beautiful shades of pink. From the bed sheets, decorative pillows, and lamp shades, to the bath robes, towels, and artwork, each room is a beautiful representation of the breast cancer ribbon color. These pink rooms truly are a special indulgence — one that should be experienced by everyone who enjoys a fun hotel stay. Hard Rock Hotel Orlando has not only remodeled a certain number of rooms in their resort and hosted Velvet Sessions for the cause, but they have also turned their menu and merchandise pretty shades of pink as well. Lay out by the pool and order pink beverages and stop into the shop and grab PINKTOBER shirts and other items, and a percentage of your purchase will go directly to the Breast Cancer Research Foundation. At nearly every corner of the Hard Rock Hotel Orlando, guests are invited to join in and show support for the cause. In addition to their pink amenities, the hotel has established a social media presence as well. Use the hashtag #PINKTOBER in your pictures to share your support for breast cancer awareness. Whether sharing photos of Hard Rock’s PINKTOBER merchandise, your stay in a Pink Sheet Room, or your daily life of supporting the fight against breast cancer, the hotel encourages fans to rally together this fall. 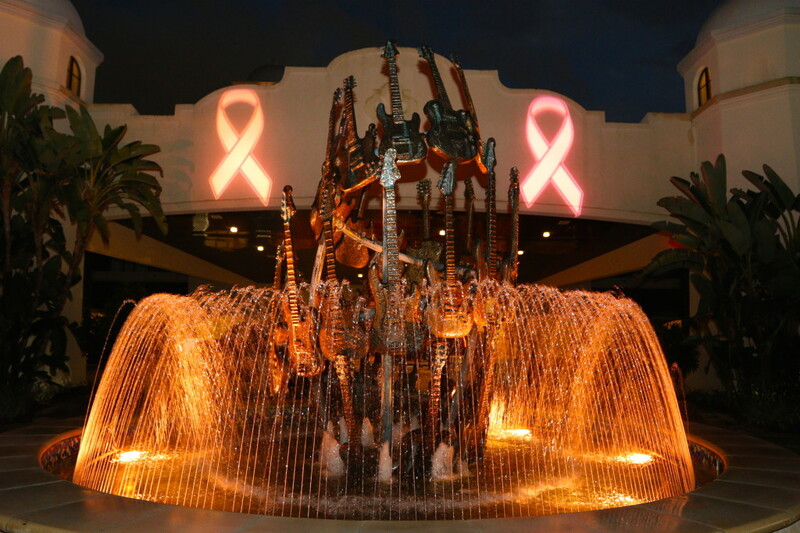 While many organizations and companies are raising money to fund research for a cure for breast cancer, Hard Rock Hotel Orlando’s PINKTOBER campaign expresses their unique passion for the cause. Jennifer Hodges, the Director of Public Relations at Loews Hotels at Universal Orlando, shares that their goal is to stand beside each person affected by this disease and to make an impact on their journey to recovery. The brand’s goal is to unite people from across the world and celebrate life and survival, while actively raising funds that benefit foundations and survivors directly. And as Carlton Hudson explains, “One of Hard Rock’s mission statements is to, ‘Love all, serve all,'” and through their PINKTOBER campaign, I can attest that they have succeeded.